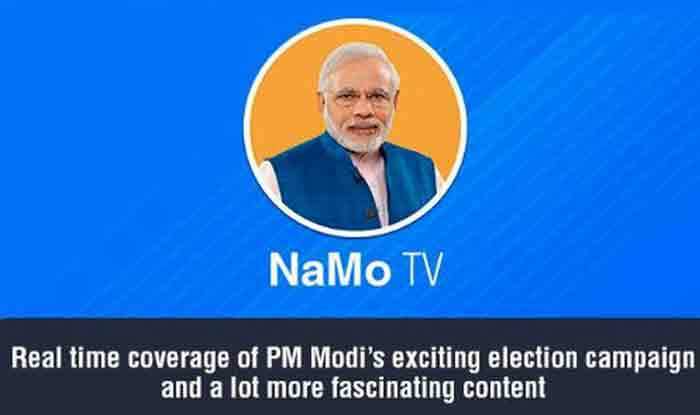 The NaMo TV was launched on March 31, approximately two weeks after the announcement of Lok Sabha Elections 2019 schedule and dates by the Election Commission. The Opposition have demanded an action by the EC on the same claiming the launch as violation of Model Code of Conduct. New Delhi: Amid the ongoing controversy over NaMo TV, DTH service provider Tata Sky on Thursday issued a clarification, claiming that the channel is ‘not a Hindi news service’ but a ‘special service’. The DTH service provider also asserted that NaMo TV ‘does not need a government license’. The statement came over Opposition’s demand to the Election Commission of India (ECI) to stop at the ‘misuse’ of media and ensure a level-playing field during the seven-phase election. Notably, the poll body has issued a notice to the Information and Broadcasting Ministry seeking a report on the launch of the channel which exclusively features Prime Minister Narendra Modi’s speeches and pro-BJP content. “NaMo TV is not a Hindi News service. If someone in the frontline at Tata Sky has tweeted or said that it is a news service, it is a mistake,” a News18 report quoted Tata Sky CEO Harit Nagpal as saying to a news organisation. The channel, launched nearly two weeks after the model code of conduct for the Lok Sabha polls beginning on April 11 came into effect, carries the picture of Modi as its logo. The Lok Sabha Elections 2019 will be held in seven phases, beginning April 11. The counting of votes across the country will be held on May 23.